BOSTON - Friday, March 16, 2018 - Mayor Martin J. Walsh today announced the winners of the 2018 Love Your Block mini-grants, a program that awards funds to neighborhoods throughout Boston for beautification projects, highlighting the people and culture in Boston's neighborhoods. Out of the 60 applications, five winners were chosen to receive funding of up to $3,000. "I congratulate all the winners of the Love Your Block mini-grants," said Mayor Walsh. "These grants will go a long way to help bring residents and communities together. 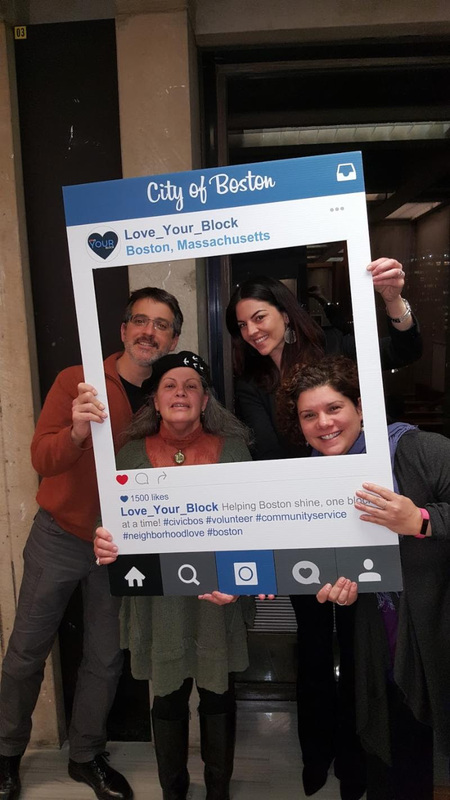 Through the Love Your Block program, we are encouraging residents of Boston to show their love for their neighborhoods, one block at a time." In November 2017, Mayor Walsh opened up the applications citywide for the 2018 Love Your Block mini-grant application cycle. Neighborhood mini-grant winners are awarded up to $3,000 to either implement or revitalize a public space used to address a larger issue identified by the community. Examples of projects include community gardens, art installations, and placemaking. "We are thrilled to invest in our community and bring an underutilized park to life," said Ginaya Greene-Murray, a member of the Charlestown Coalition chosen to help create a 'peace park' at Mt. Vernon Plaza. "To bring everyone together, especially those who have lost a loved one, while making a difference for the community as a whole makes us very excited." The Love Your Block mini-grant award selection committee included representatives from the Love Your Block team, Mayor's Office of Neighborhood Services Liaisons, Public Works Department, Parks & Recreation, Boston Transportation Department, City Hall To Go Program, Department of Neighborhood Development and the Mayor's Office of Arts and Culture. $800 to revitalize the community garden by updating infrastructure: repairing a broken compost bin, creating a garden message board, repairing the water control box covering and adding additional garden plots. $2,700 to create a "peace park" at Mt. Vernon Plaza -- with landscaping, water features and memory rocks -- to help bring awareness to those suffering from trauma, and substance use disorders. $3,000 to turn a vacant lot into a community garden as an extension of a new community center that seeks to educate and engage residents of all ages in conversations around healthy eating and environmentalism. $1,000 to beautify the corner lot by planting perennials, revitalizing the garden plots and installing trellises decorated with artwork. $500 to rebuild community garden beds, as well as raise the garden beds for easier accessibility for children and seniors. The Love Your Block program is a partnership between the City of Boston and Cities of Service. Cities of Service is a national nonprofit organization that helps Mayors and City leaders tap the knowledge, creativity, and service of citizens to solve public problems and create vibrant cities. The City of Boston was one of six cities selected in June 2015 to receive two AmeriCorps VISTA members per year, program consulting support, and $30,000 to plan and implement Love Your Block over the course of three years. Moving forward the City of Boston will incorporate this program under the Mayor's Office of Civic Engagement, as a yearlong initiative.